Whether you’re a first responder or you’re still in training, you’ll need high-protein snacks that are both healthy and portable. 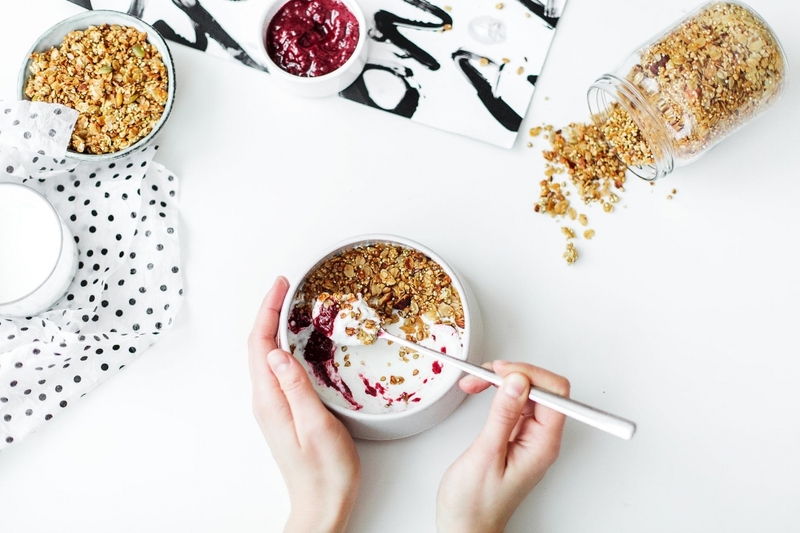 A helpful article by Healthline features a number of snacks that fit the bill and can be eaten between calls or classes. When you live a busy lifestyle, snacks can be a lifesaver. Here are some of the high-protein snacks Healthline included on their list! 5. No-Bake Energy Bites: “Energy bites are a delicious, high-protein snack made by combining a variety of ingredients, such as nut butter, oats and seeds, and then rolling them into balls. The best part about energy bites is that they don’t require baking. You can prepare a batch ahead of time so that you have a snack available when you need to grab one and go. 6. Roasted Chickpeas: “Chickpeas, or garbanzo beans, are a legume with an impressive nutrient profile. A half-cup serving (82 grams) contains 7.5 grams of protein and 6 grams of fiber, in addition to providing some of almost every vitamin and mineral. They are particularly high in folate, iron, magnesium, phosphorus, copper and manganese. 9. Egg Muffins: “Egg muffins are a super healthy snack with lots of protein. They’re made by mixing eggs with veggies and seasonings, pouring the mixture into a muffin tin and then baking the muffins. They are also very convenient, as they can be eaten hot or cold. You can increase their nutrient content by making them with veggies and add more protein by topping them with a tablespoon or two of cheese. These are just ten of the thirty snacks listed in Healthline’s article. Be sure to check the rest out for even more ideas! Have you ever wondered, just how long does it take to become an EMT? At Unitek EMT, we strive to prepare aspiring Emergency Medical Technicians by providing them with EMT training and an accelerated EMT program. Experts in the EMS field educate our students through a combination of traditional learning, simulation training, and workshop-style classes. Our 14-Day Boot Camp1 is currently completed at a facility in Chandler, Arizona. Students can also attend American Heart Association (AHA) CPR courses or a stellar EMT Refresher course. Additionally, a BLS course is also offered at the Chandler facility.